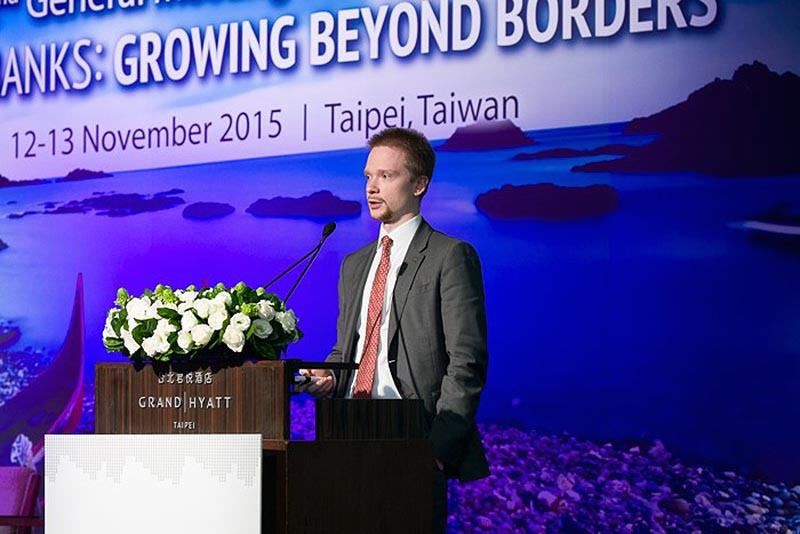 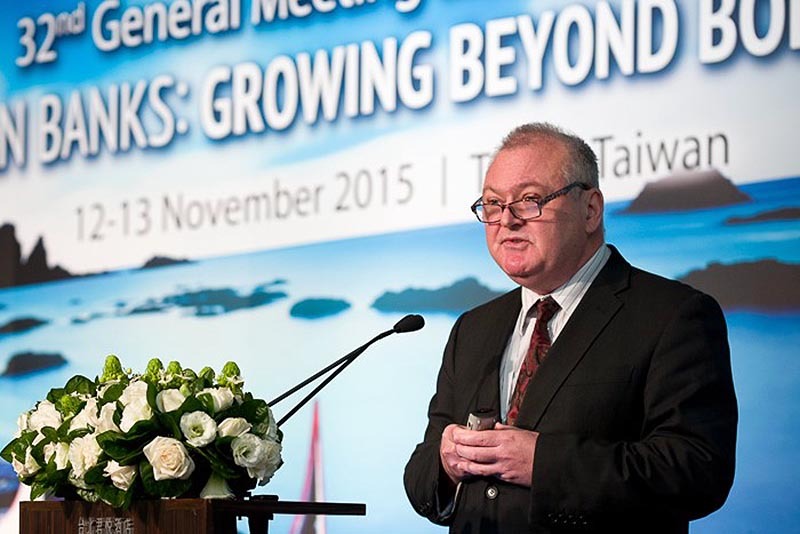 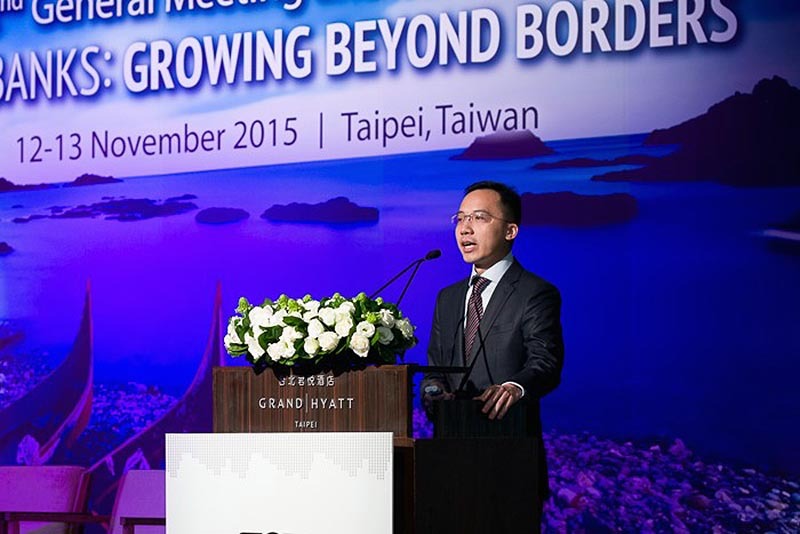 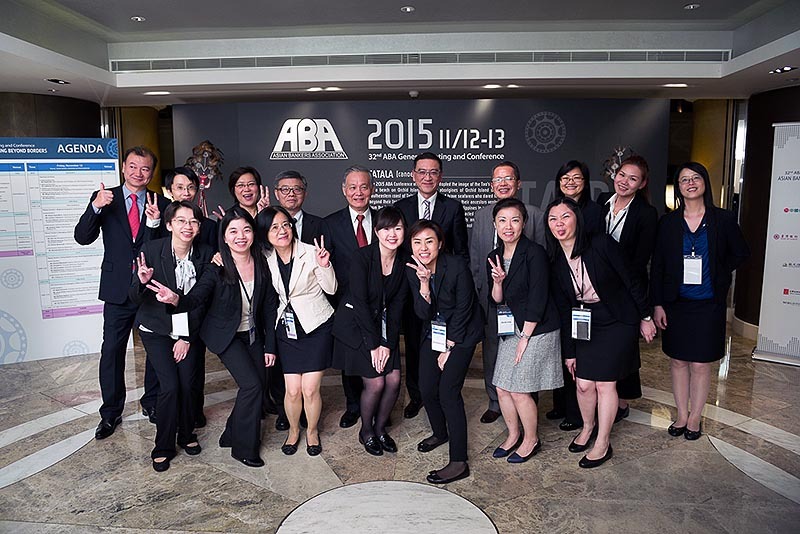 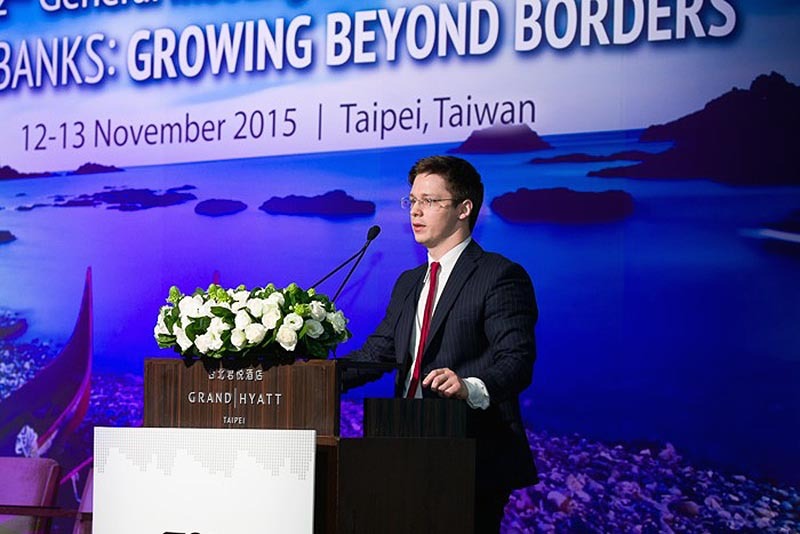 "Asian Banks: Growing Beyond Borders"
Over 200 bankers from 23 countries in Asia-Pacific, the Middle East, and other regions, composed mainly of members of the Asian Bankers Association (ABA) led by ABA Chairman Daniel Wu, President of CTBC Financial Holding Co. from Taiwan, gathered in Taipei on November 12-13, 2015 for the 32nd ABA General Meeting and Conference. 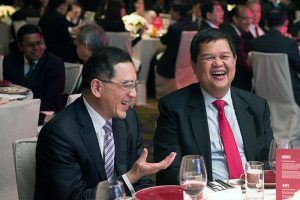 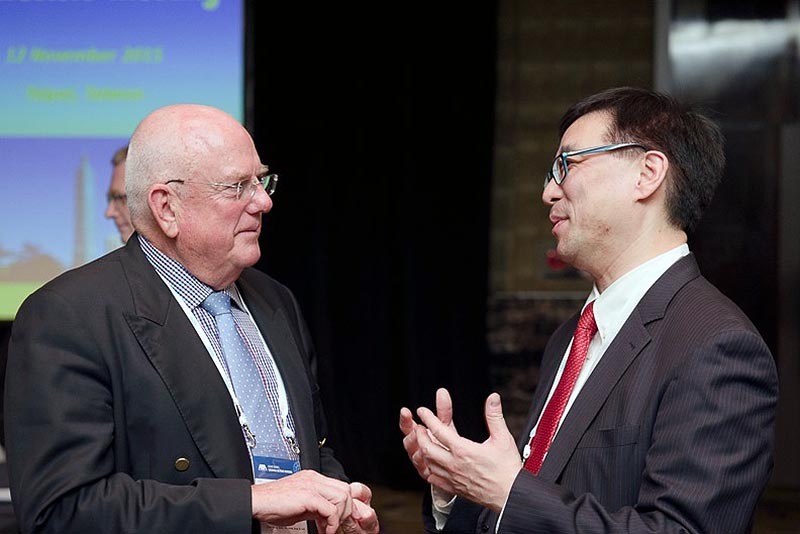 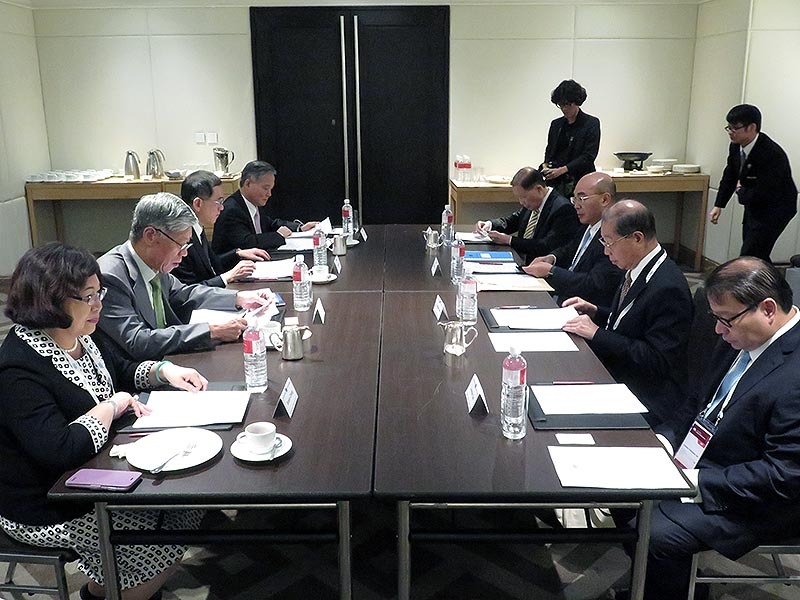 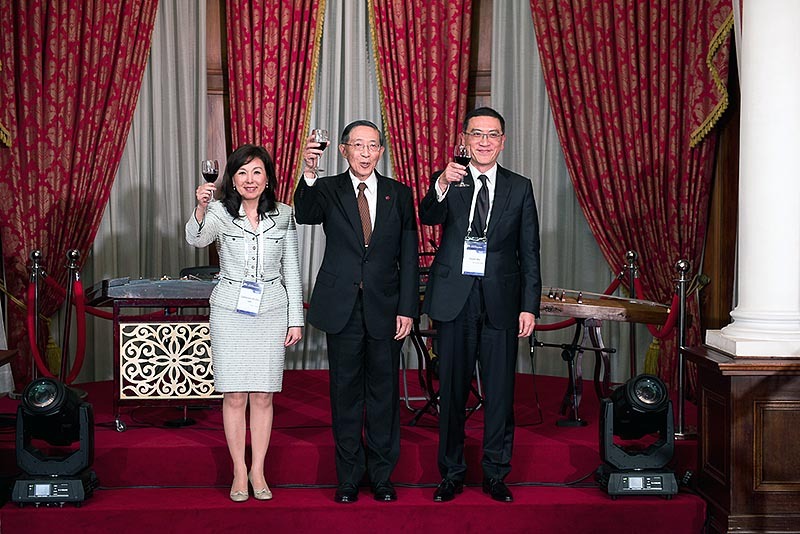 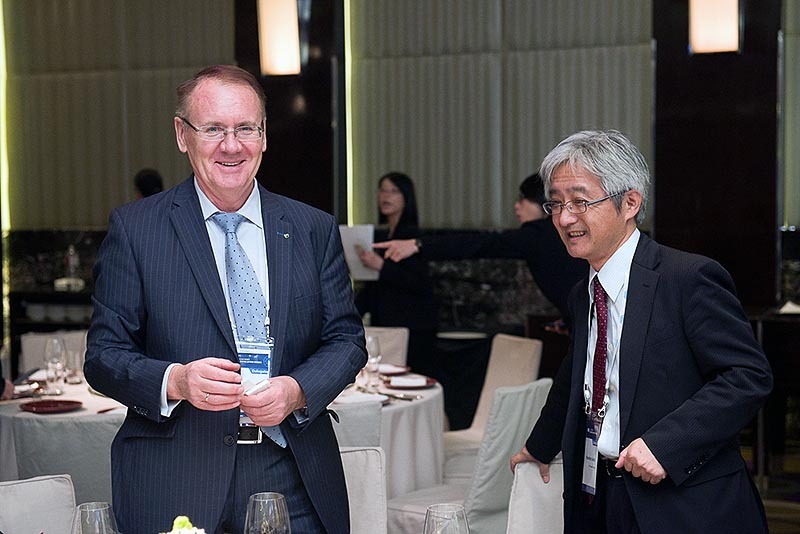 Co-hosted by CTBC Bank and The Bankers Association of the Republic of China (BAROC), this year’s gathering of the region’s banking leaders was held at Grand Hyatt Taipei. 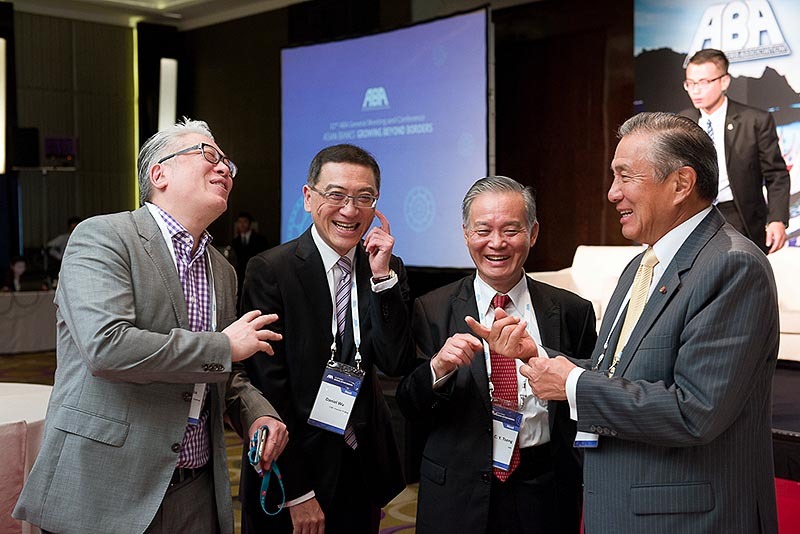 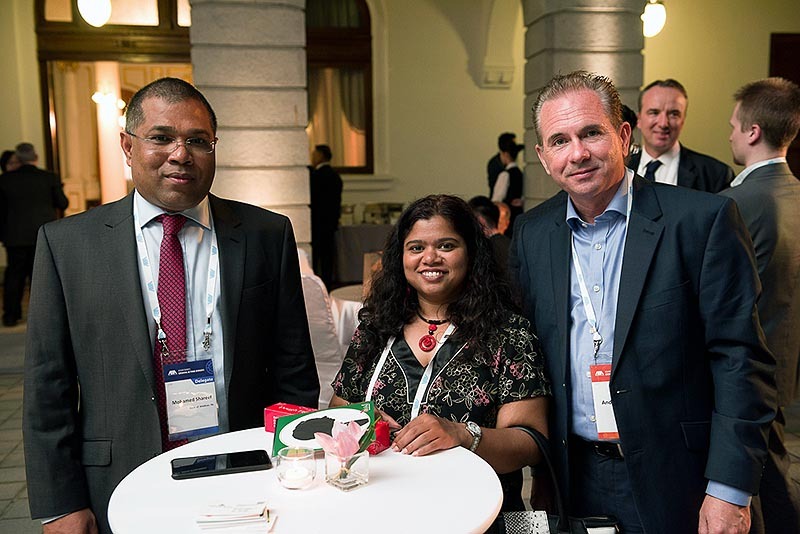 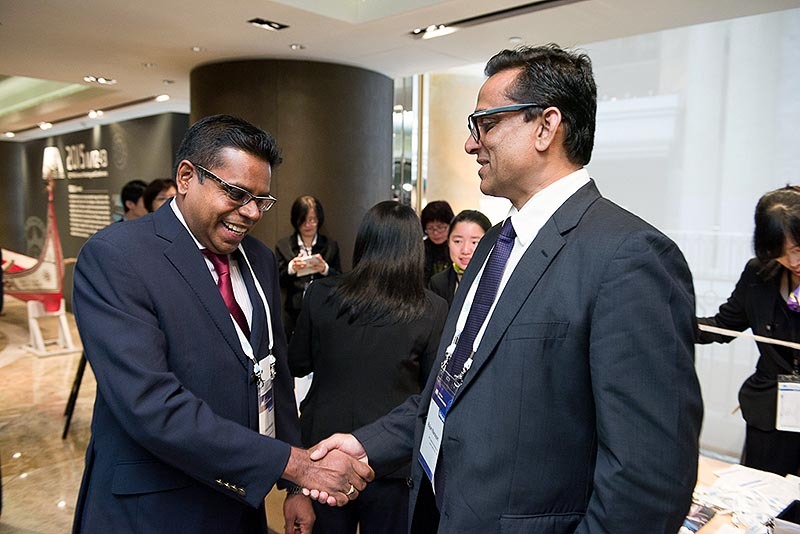 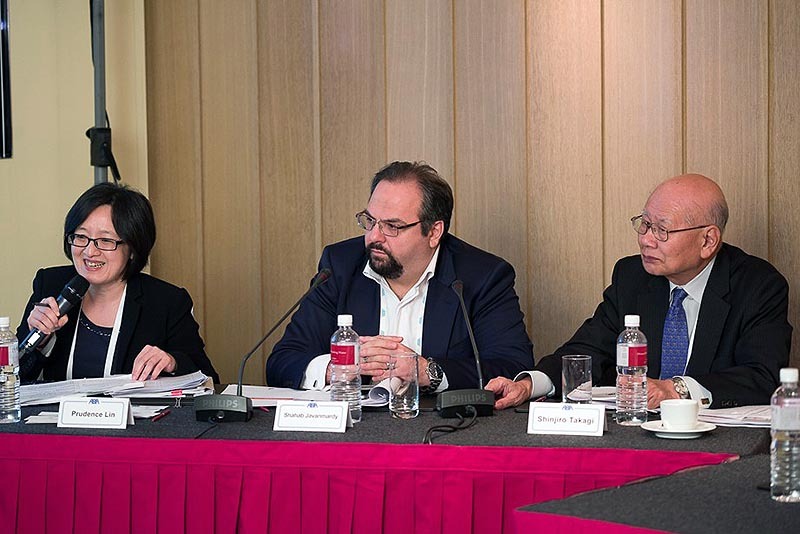 Focusing on the theme “Asian Banks: Growing Beyond Borders”, the ABA Conference this year discussed what Asian banks need to do to successfully expand from their domestic borders into the regional and international markets. 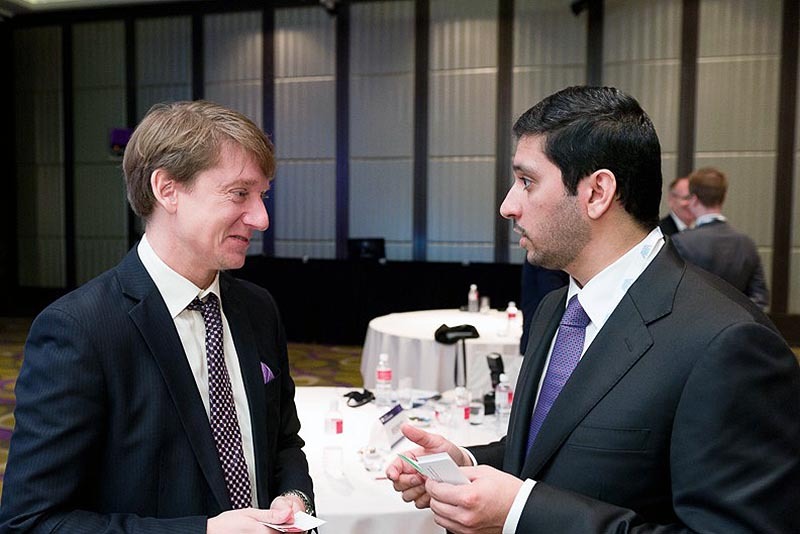 Experts from both the private and the public sectors shared their views on the importance for banks to gain a deeper understanding of market trends and customer demands; to be more outward-looking and focused on the market; to respond smartly but, more importantly, speedily to change; and to understand what drives cost and what drives value. 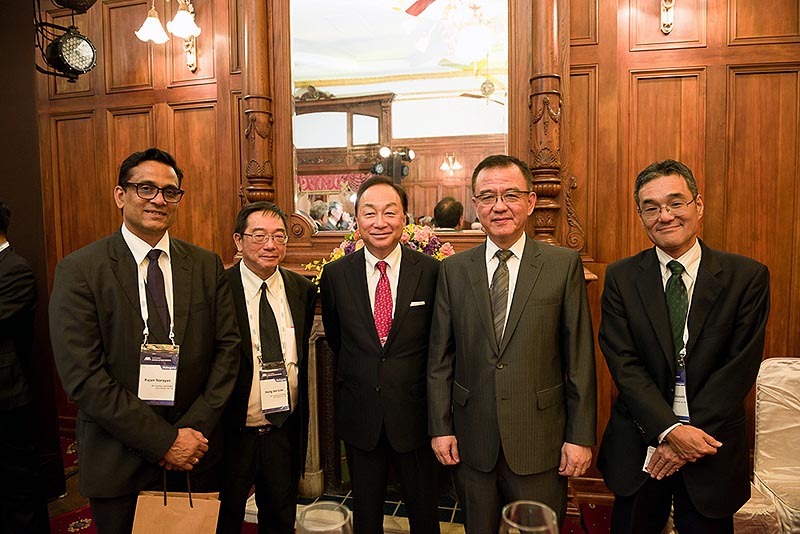 Discussions also focused on the need to empower customers with technology, and for banks to reduce costs, improve service quality and put power into the hands of their customers through innovative deployment of technology. 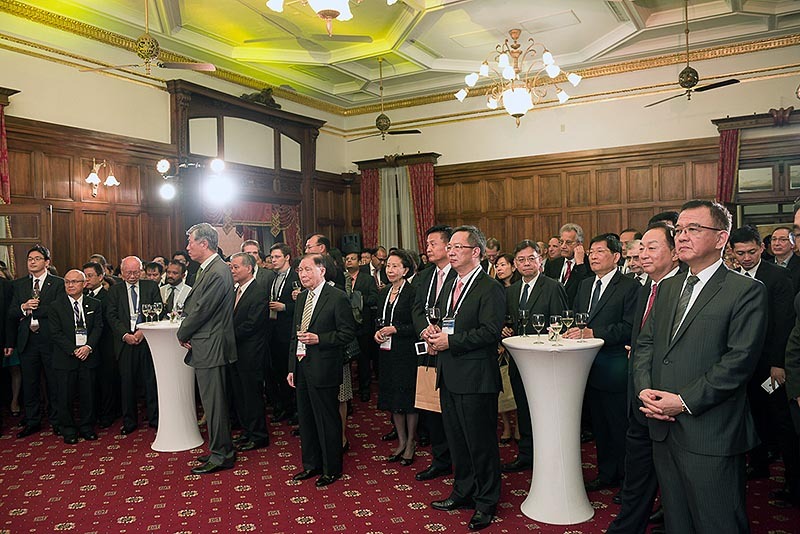 Invited to deliver the Special Address during the Opening Ceremony of the Conference was the President of the Republic of China, Mr. Ma Ying-Jeou. 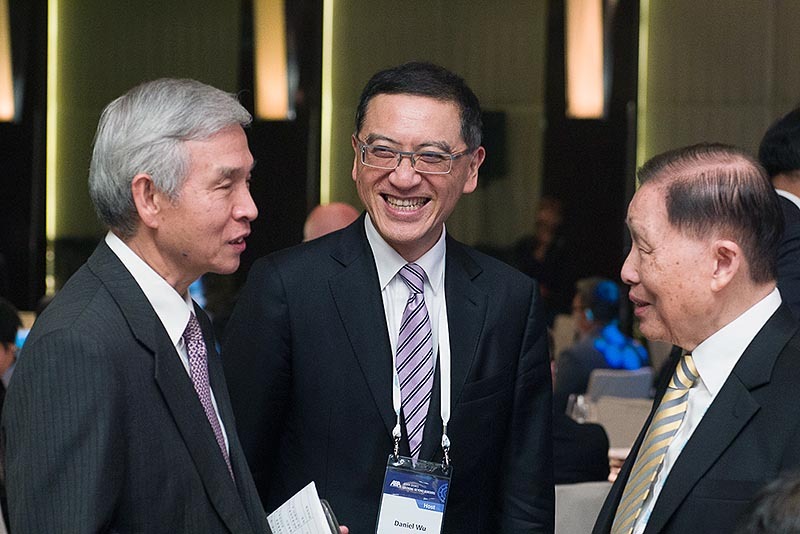 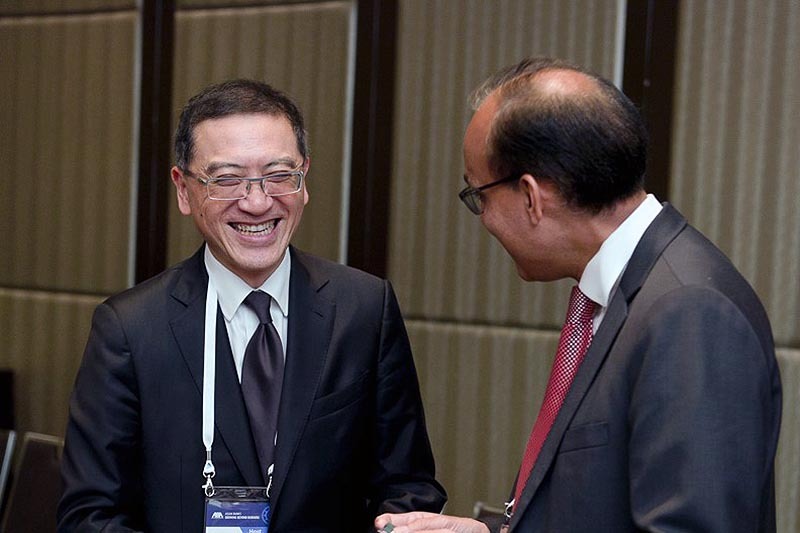 In his address, President Ma cited the ABA as an important forum for banks throughout the Asia-Pacific region to exchange ideas and explore business opportunities, adding that in today’s globalized world, highly interconnected markets can foster efficiency and growth. 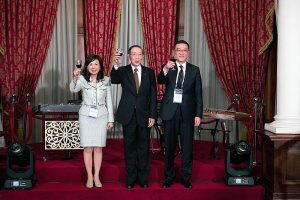 Turning to Taiwan, President Ma said that the Taiwanese economy has faced many challenges, some global in nature, and some purely domestic, but he also stressed that Taiwan’s economic fundamentals are good. Looking forward, he said that as the landscape of the financial industry changes, and the industry’s center of gravioy shifts to the Asia-Pacific region, Taiwan will continue to forge a sound legal framework, and strengthen the corporate governance, risk management, and liquidity of financial institutions, as well as enhancing regional economic and financial cooperation. 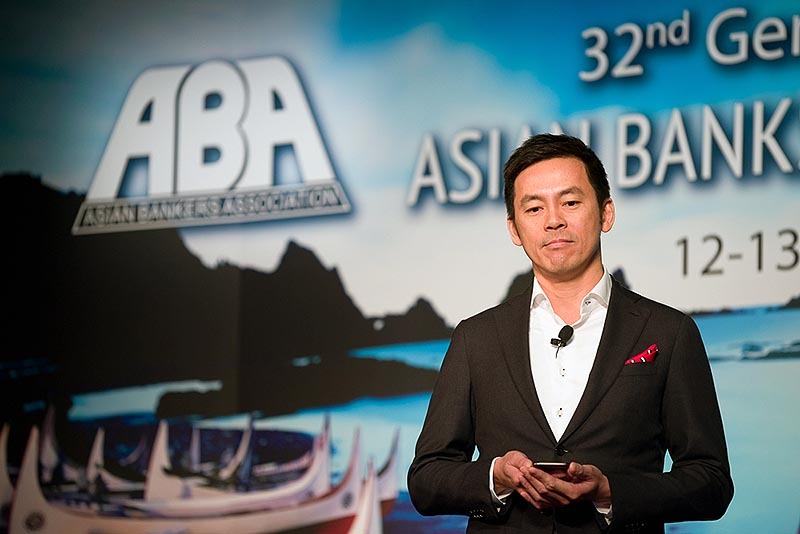 ABA Chairman Mr. Daniel Wu, who is also President of CTBC Financial Holding, in his Opening Remarks, said he was pleased that this year’s annual Conference of the ABA is taking place in Taipei, noting that the last time ABA members gathered here was in November 2010. 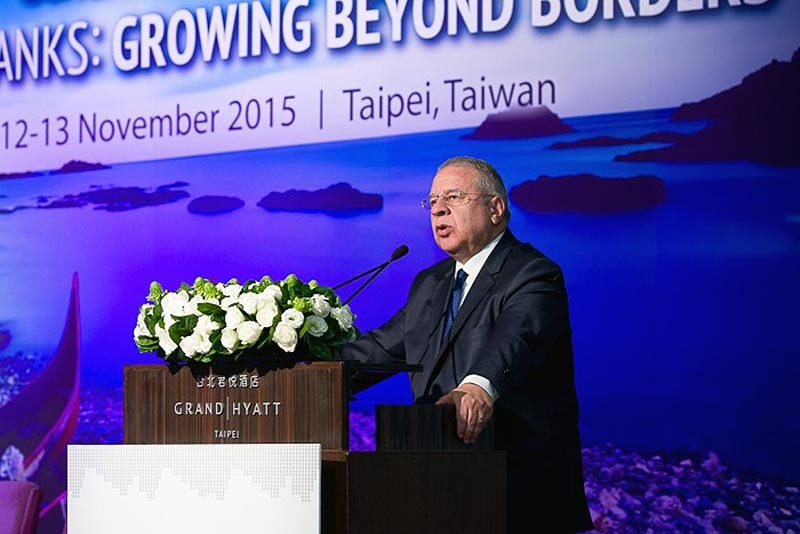 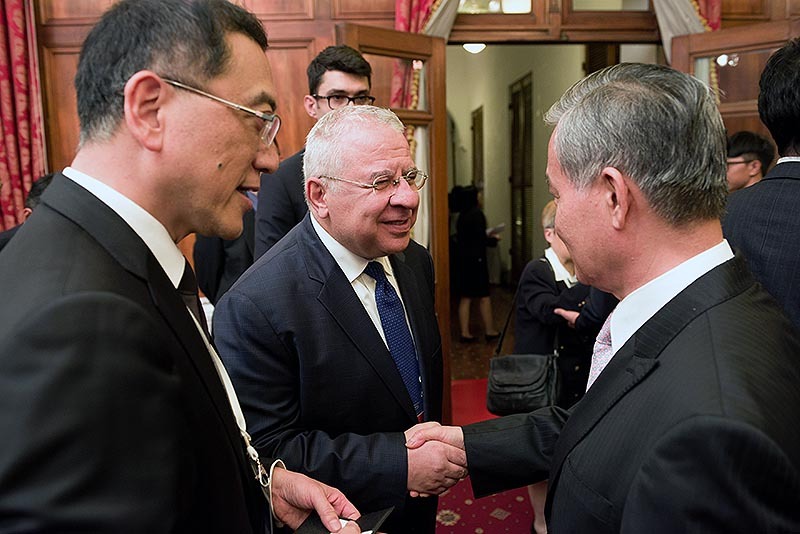 He pointed out that over the five years that passed since then, Taiwan has undergone major transformations in many aspects of its economy, particularly in the banking and financial sector. 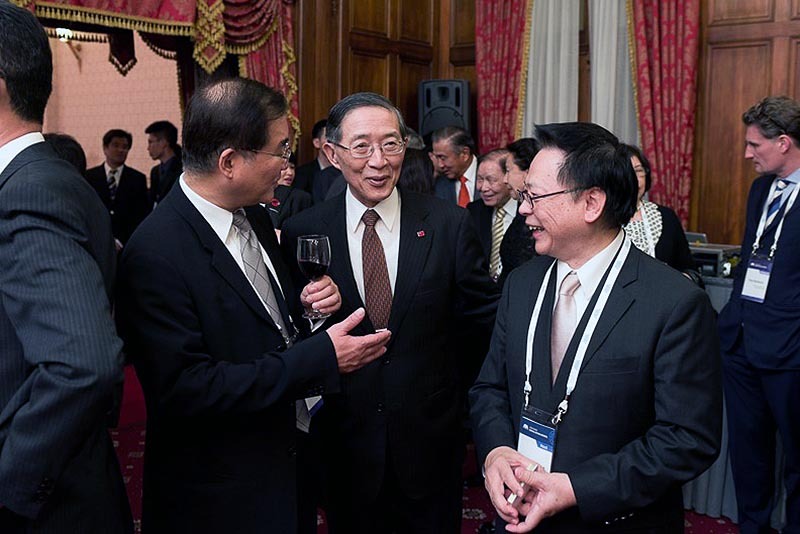 He expressed his hopes that by serving as host of the ABA Conference this year, CTBC Bank could provide ABA members and delegates from other countries the opportunity to re-visit Taiwan and explore their future role in the country’s increasingly robust markets, and that discussions will not only be of commercial interest to the participants, but will also be useful to the ABA in its efforts to help shape policies that affect the Asian region’s development. 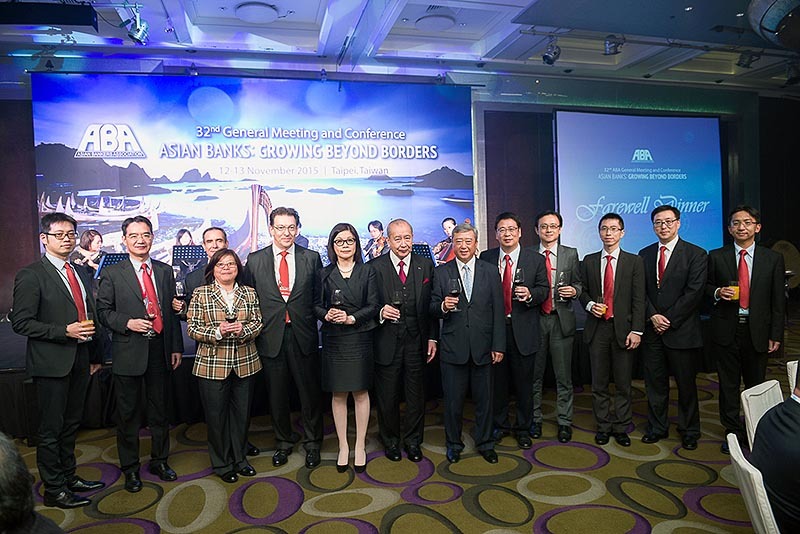 Dr. Catherine Jih-Chu Lee, BAROC Chairperson and Chairperson of Taiwan Financial Holdings and Bank of Taiwan, in her Welcome Remarks, noted that currently many aspects of global economic conditions are conducive to creating new growth opportunities for the Asian financial industry, adding that the Taiwan banking sector hopes to take advantage of the opportunities to successfully enter the Asian regional market. 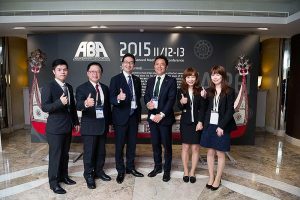 In a bid to help the Taiwan banking industry gain access to Asian markets, the Bankers Association of The Republic of China has been undertaking a number of initiatives, such as building up a comprehensive database needed for the development of overseas business, and launching an e-learning video platform, through which each staff person of the member banks can readily engage in online-learning anywhere and anytime. 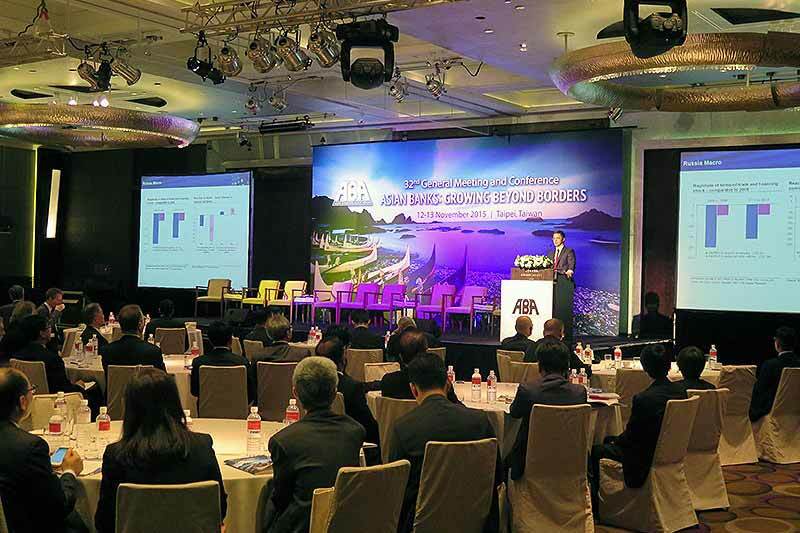 Featured as Keynote Speaker was Mr. Richard Koo, Chief Economist at the Nomura Research Institute. 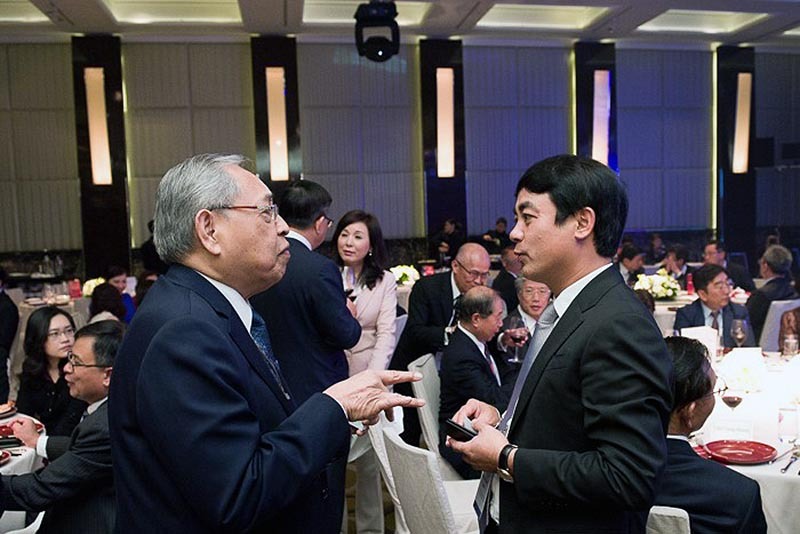 Mr. Koo talked about “The Escape from Balance Sheet Recession and the QE Trap.” He is best known for developing the concept of balance sheet recession which is now widely used around the world to explain the post-1990 Japanese and post-2007 Western economies. 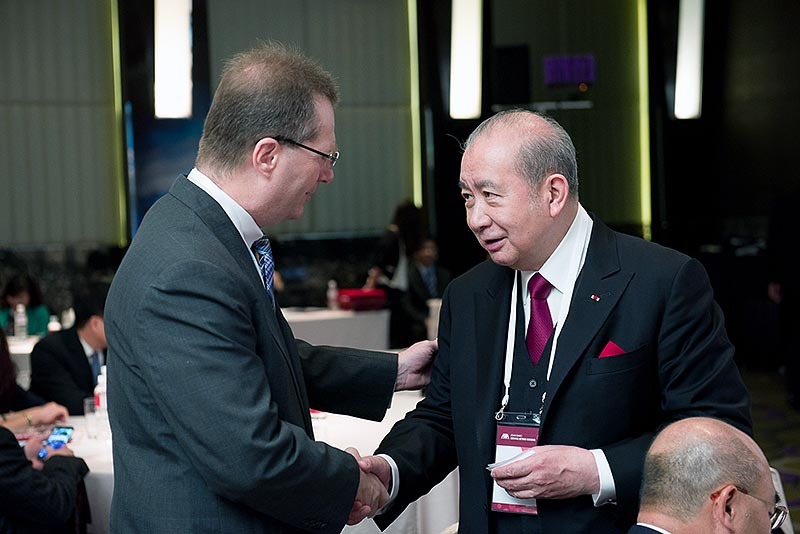 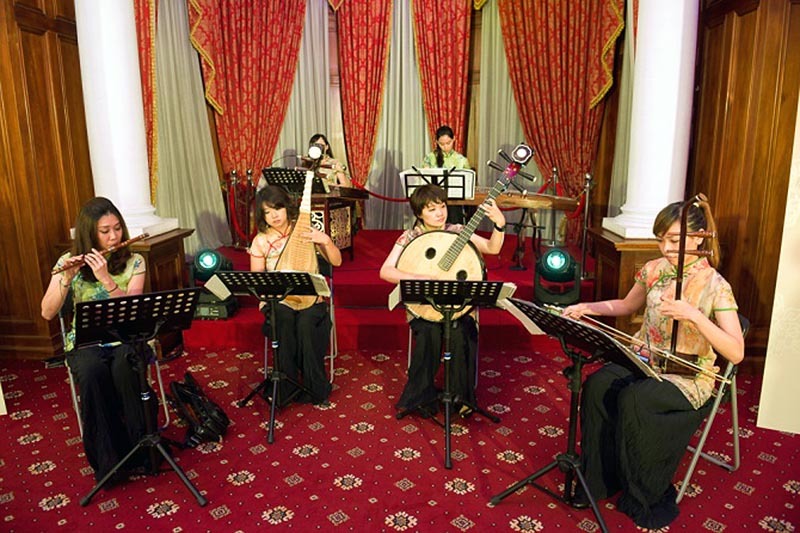 He has also advised successive prime ministers on how best to deal with Japan’s economic and banking problems. 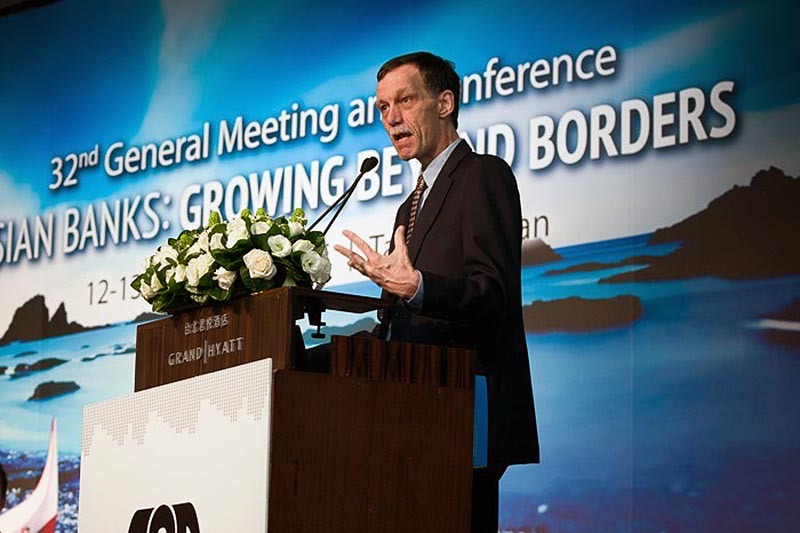 Regional Integration: Implications for Asian Banks – This session examined the extent to which regional integration is expected to reduce uncertainty and obstacles for banks when entering a new market; how do banks, particularly those positioned to help their key clients enter new markets or relocate overseas, would stand to gain from such market expansion; what models do banks need to use or have used to expand regionally; and what degree of regulatory harmonization is required for a region-wide integration of the banking market?The session speakers and their respective topics included: Mr. Nestor Espenilla, Jr., Deputy Governor, Bangko Sentral ng Pilipinas (Harmony in a Diverse ASEAN Economy); Mr. Lachlan Colquhoun, Chief Executive Officer, East & Partners Asia (Asia’s Competitive Landscape); and Dr. Amir Mehran, Advisor to President and Manager, Foreign Assets & Investment Management Dept., Bank Pasargad (Implications of Regional Integration for Asian Banks). 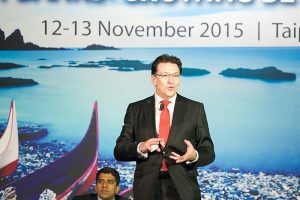 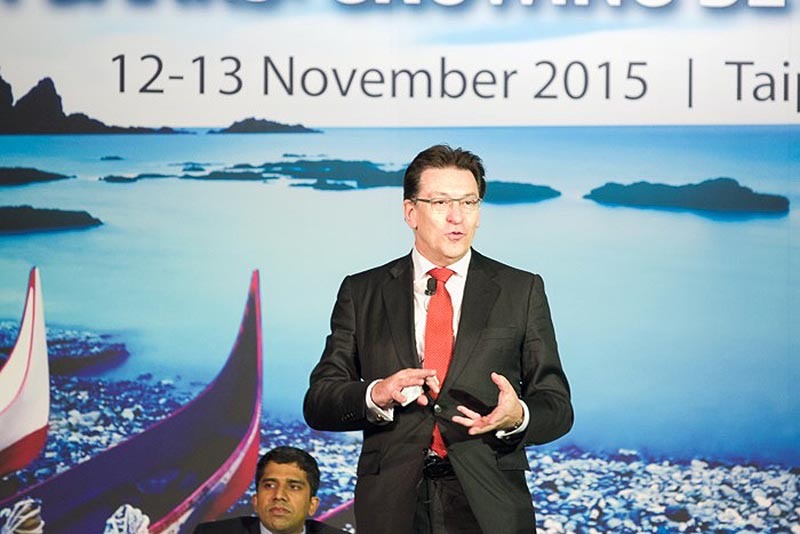 Chairing and moderating the session was Mr. Andrew Healy, Managing Director and CEO, Bank of Maldives Plc. 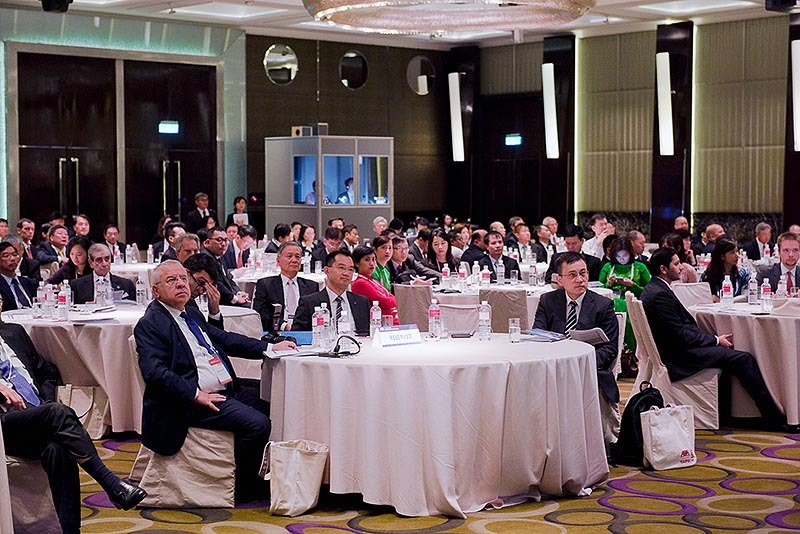 Managing a Multi-cultural and Multi-Generational Customer Base – This session featured speakers who explored the characteristics of the various groups of customers from across different cultures and different generations and shared their views on how banks could build successful relationships with each of these groups by applying the appropriate cultural or generational approach and strategies to the marketing process.Invited as speakers and ther respective topics were Mr. Ken Lee, Managing Director and Head for Asia, 13D Research (Understanding the Millennials); Mr. Richard Hartung, Head of Content-Asia, European Financial Management Association (Analytics, Value and a Great Experience Engage Customers); and Dr. Hassan Motamedi, CEO of EN Bank (Creating synergy between Islamic banking and conventional banking). 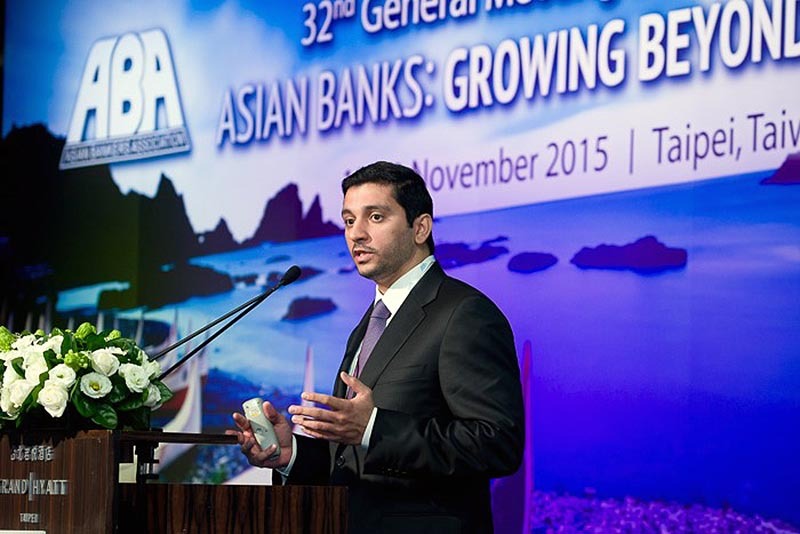 Mr. Mostafa Beheshtirouy, Member of the Board of Bank Pasargad served as session chairman and moderator. 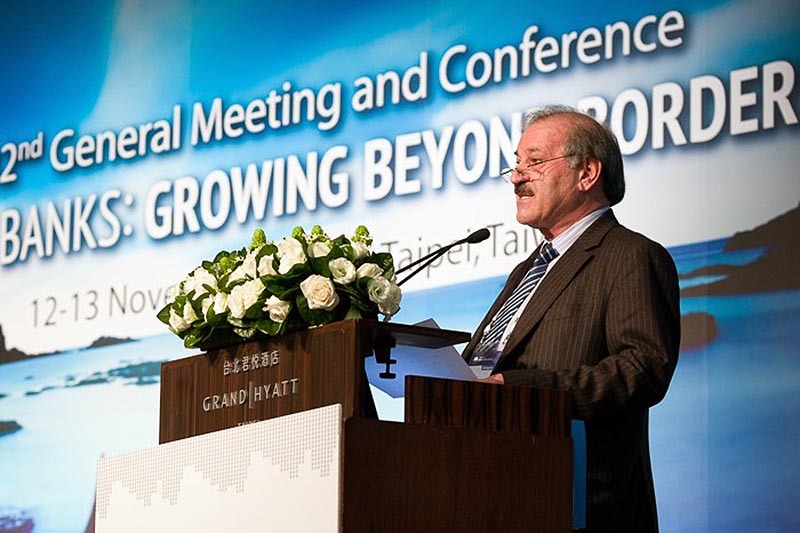 Going Digital: Pursuing Global Opportunities Through Technology – This session examined various issues – as well as challenges and opportunities – resulting from the development of digital banking and how they are currently being addressed by the banking sector and by regulatory and supervisory authorities.The presenters and their respective topics included: Mr. Antonio Massanell, Deputy Chairman, CaixaBank (Digital Transformation in Banking: How to transform a legacy bank into a 21st century leader in digital banking); Mr. Vinayak HV, Principal, McKinsey Singapore (Bank of the Future: Winning in a world of digital disruption); Mr. Seyed Ahmad Taheri Behbehani. 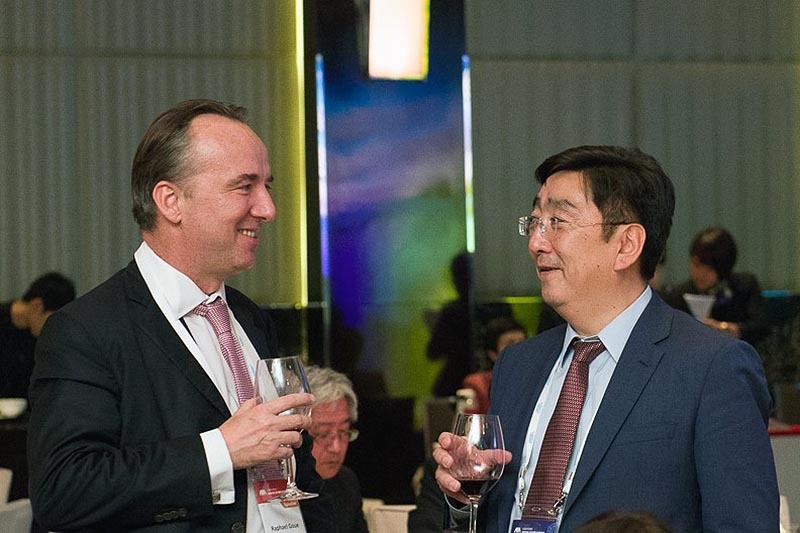 CEO of Saman Bank from Iran (Mobile banking’s contribution in the development of the Iranian banking activities and Saman Bank’s strategy in this area); and Mr. Raphael Goue, Chairman of the Consumer Finance and NBFI Group at the European Chamber in China (Digital Finance: Its Impact on the Chinese financial landscape). 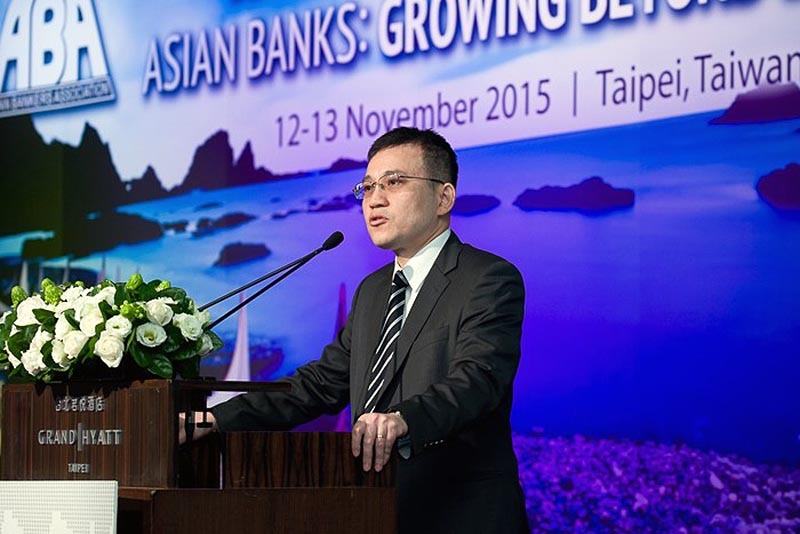 Serving as Session Chairman and Moderator was Mr. I-Cheng Liu, CEO of Cards and Payments at the CTBC Bank. 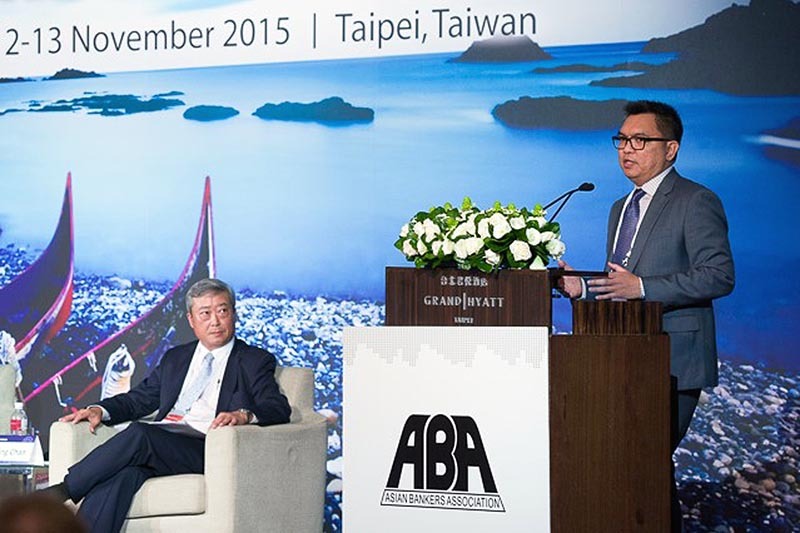 The “Discover ABA” session was chaired by Mr. Nghiem Xuan Thanh, Chairman of Vietcombank and Vice Chairman of ABA. 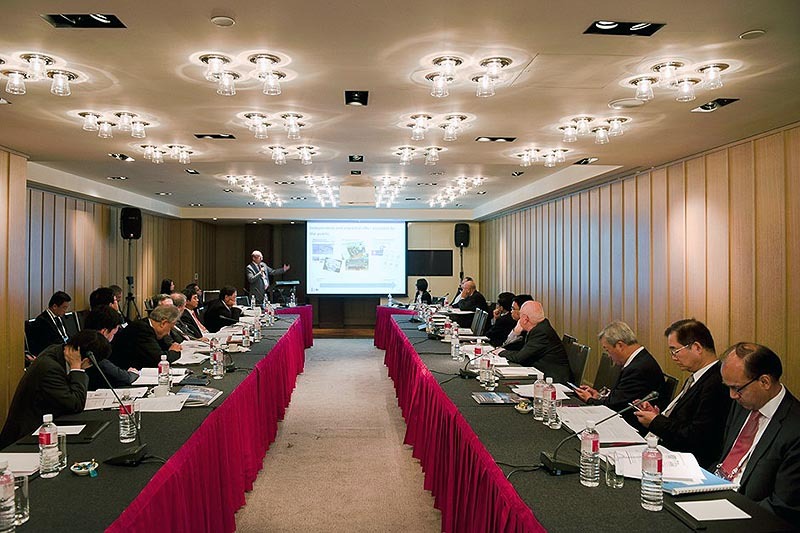 As an added feature of the session, a number of delegates were requested to chose what they deemed was the best country presentation. 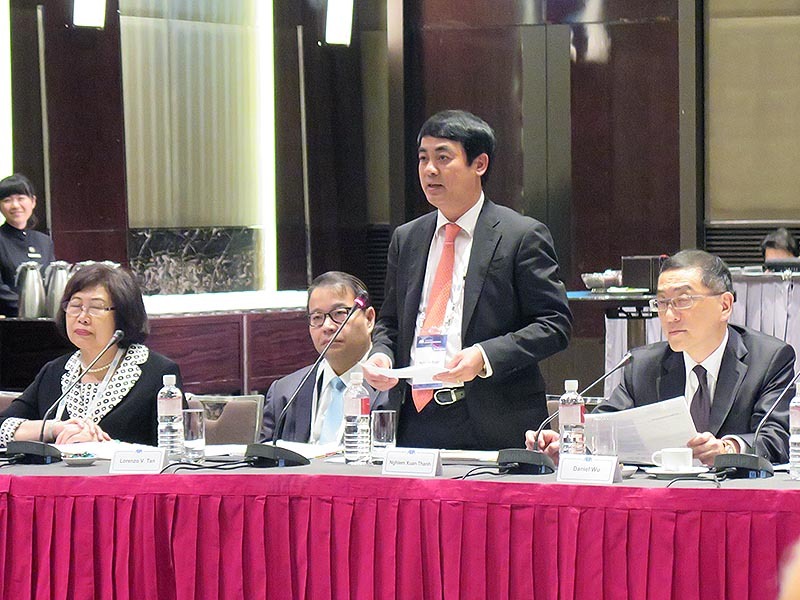 The winner, per evaluation by the delegates, was the country presentation on Singapore made by Mr. Irvin Seah. 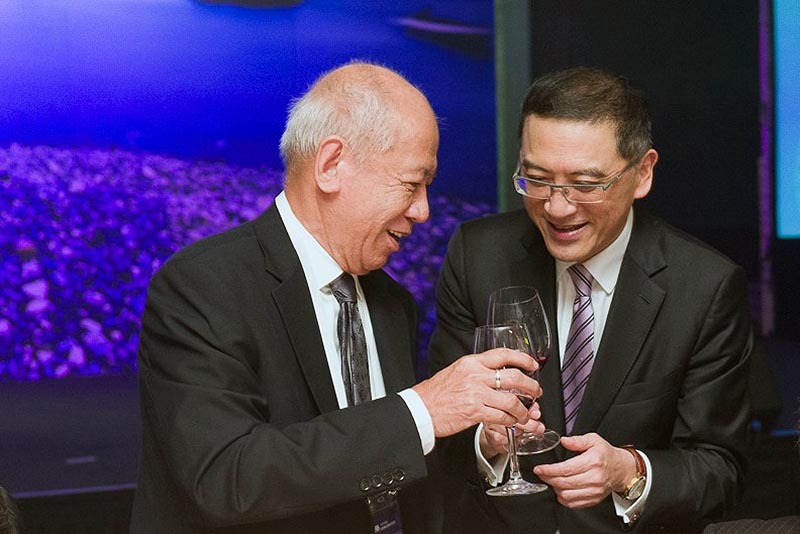 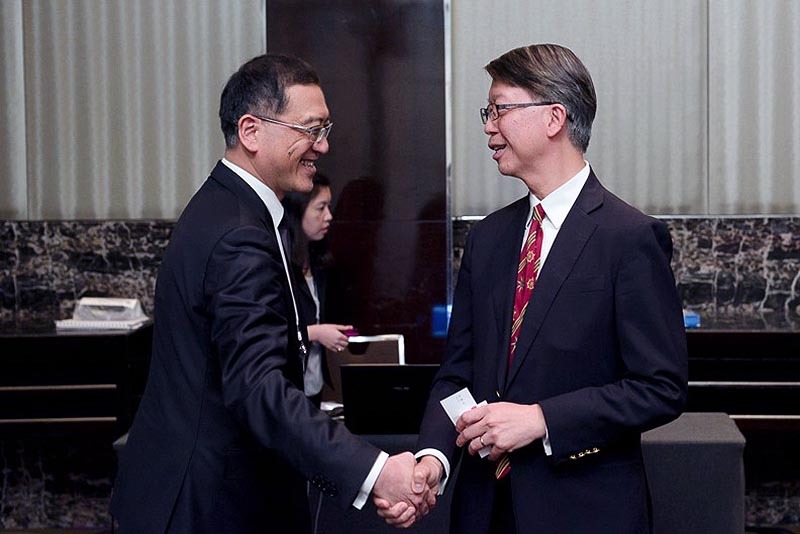 Mr. Seah received a trophy from ABA Chairman Mr. Daniel Wu during the Farewell Dinner on November 13. 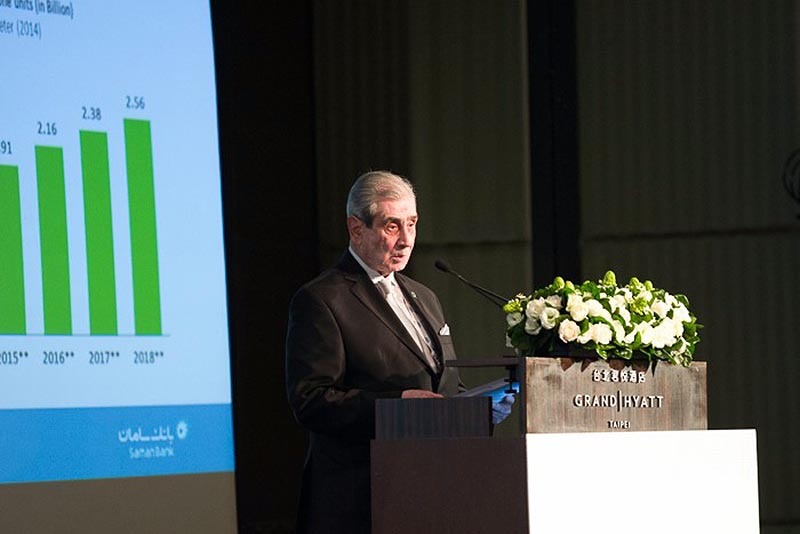 The rest of the country presenters received Certificates of Appreciation. 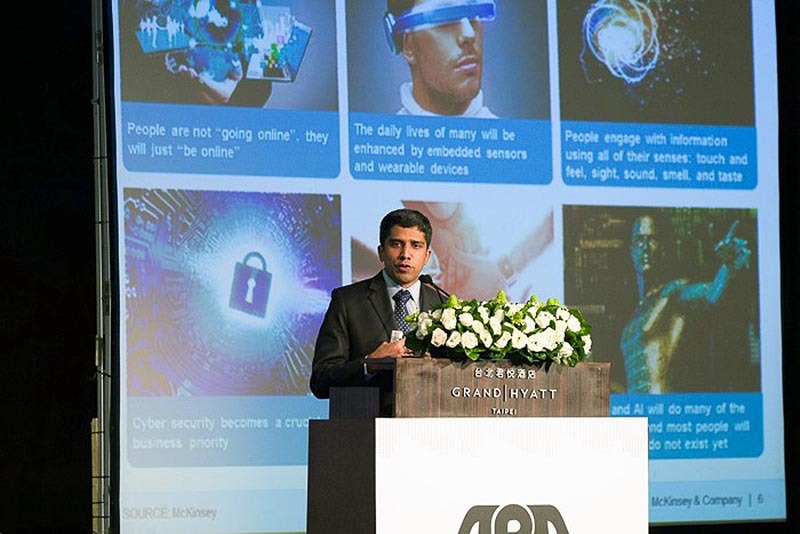 Host Bank session on “The Augmented Age: Disrupting Experience and Advice” – This special session was organized by the CTBC Bank and featured Brett King, Founder and CEO of Movenbank, a mobile financial service provider operating in the United States. 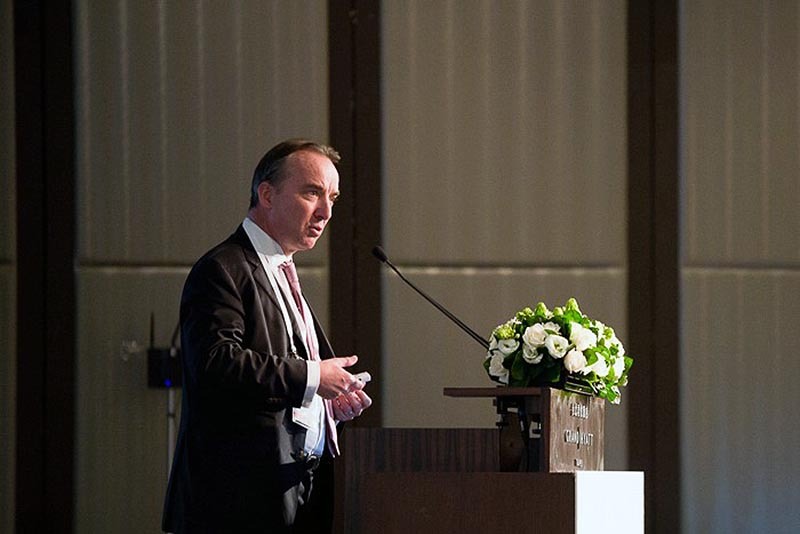 Mr. King spoke about how the future will change the business of private banking and investment advisory, how customer behaviour is driving massive shifts in industry and where the opportunities are emerging. 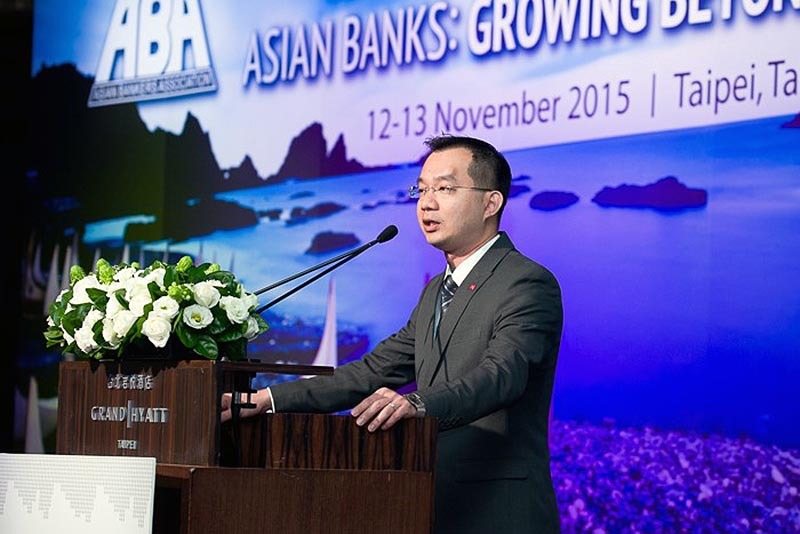 The session chairman was Mr. Daniel Wu, President of CTBC Financial Holding Co. and Chairman of the ABA. 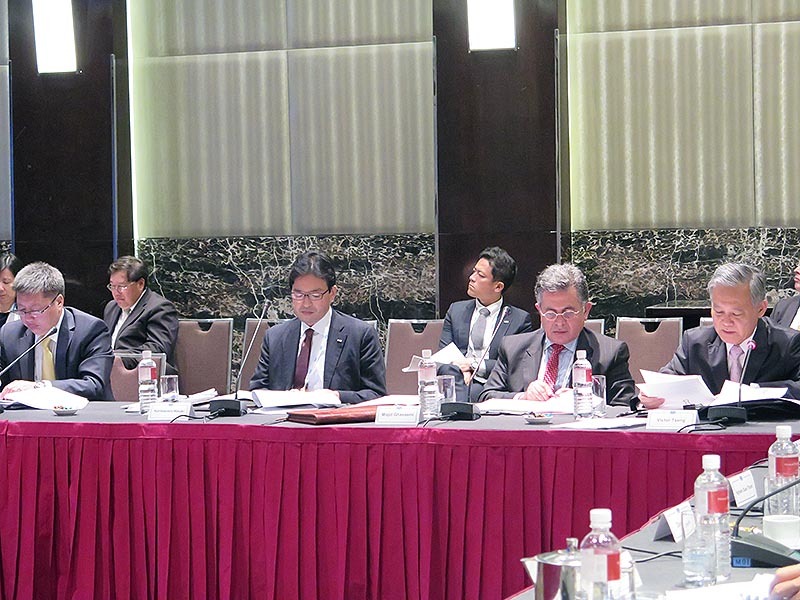 Shared experiences and strategies on improving financial literacy in their respective areas, and considered steps to take to promote cooperation in this area, with the view to achieving financial inclusion. 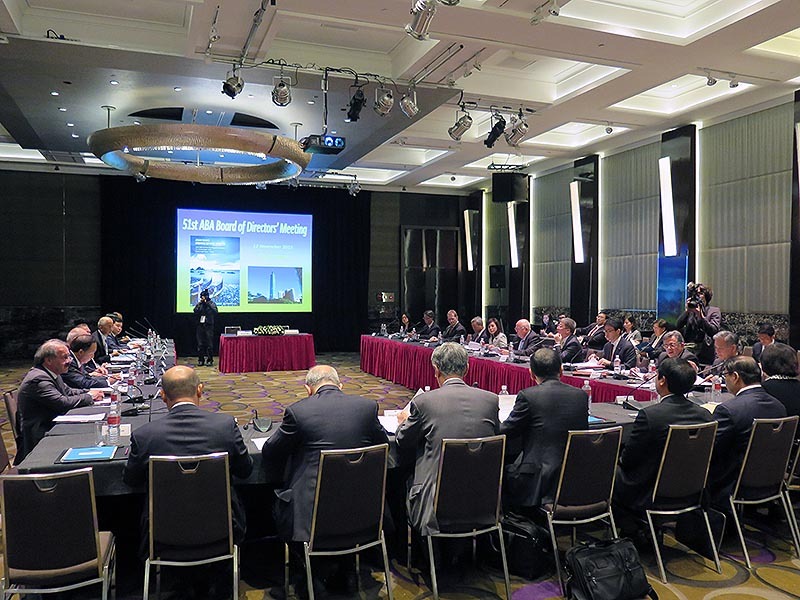 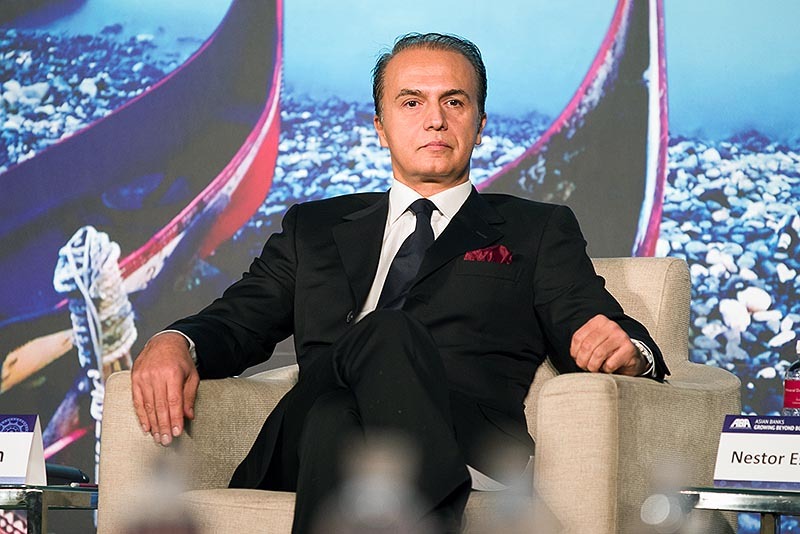 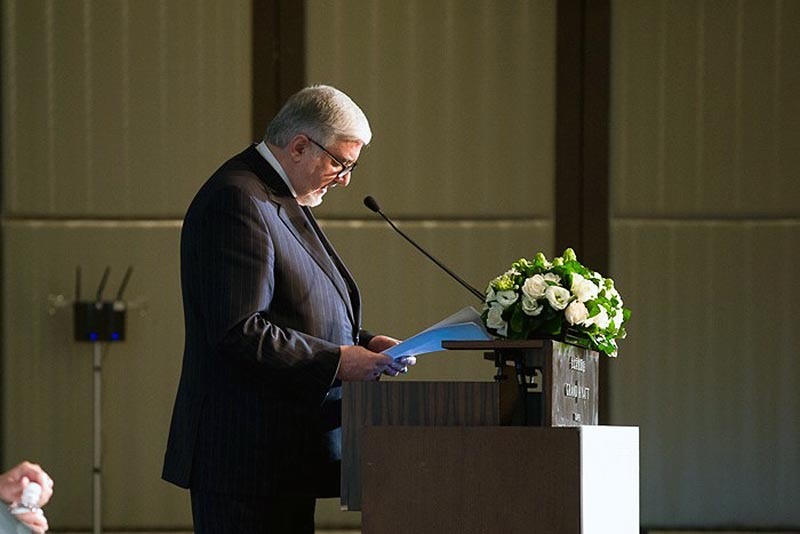 The Board formally admitted new regular members, namely: (i) Tourism Bank from Iran; (ii) Sina Bank from Iran; (iii) Bank Hekmat Iranian from Iran; (iv) E. Sun Bank from Taiwan; and (d) National Bank of Abu Dhabi from the United Arab Emirates. 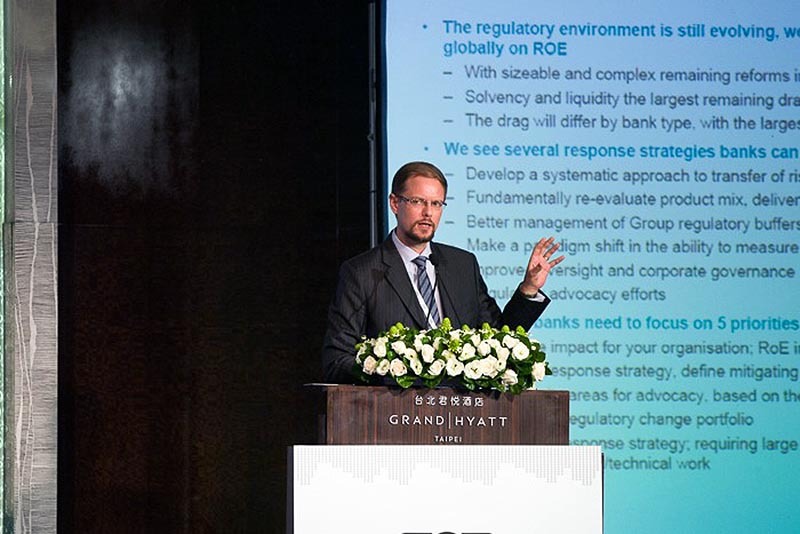 Impacts of continuing changing regulations on financial institutions. 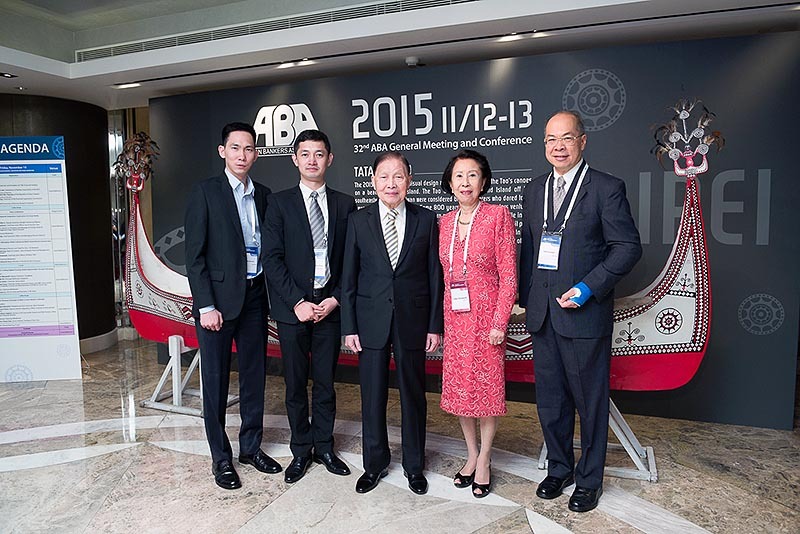 Amnuay Viravan, who served as ABA Chairman from 1986 to 1988 during his term as Chairman of Bangkok Bank PCL Ltd. 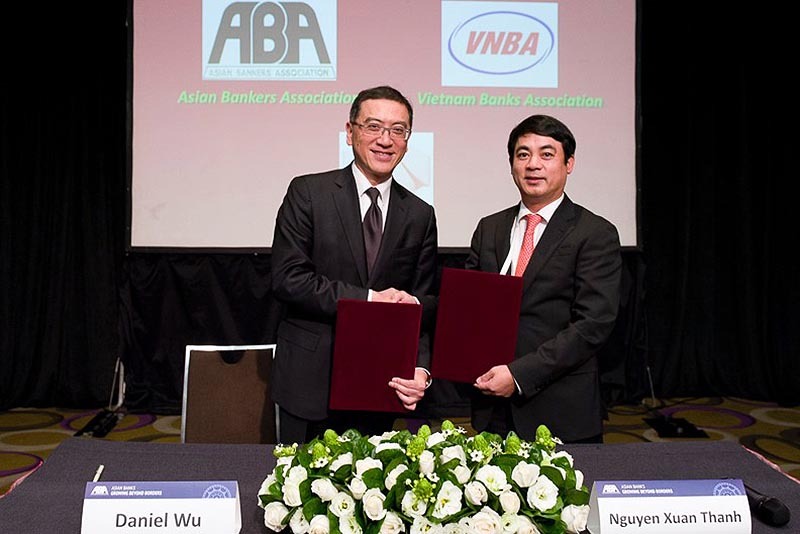 The ABA signed a Memorandum of Understanding (MOU) with the Vietnam Banks Association (VNBA) outlining possible areas of cooperation between the two organizations. 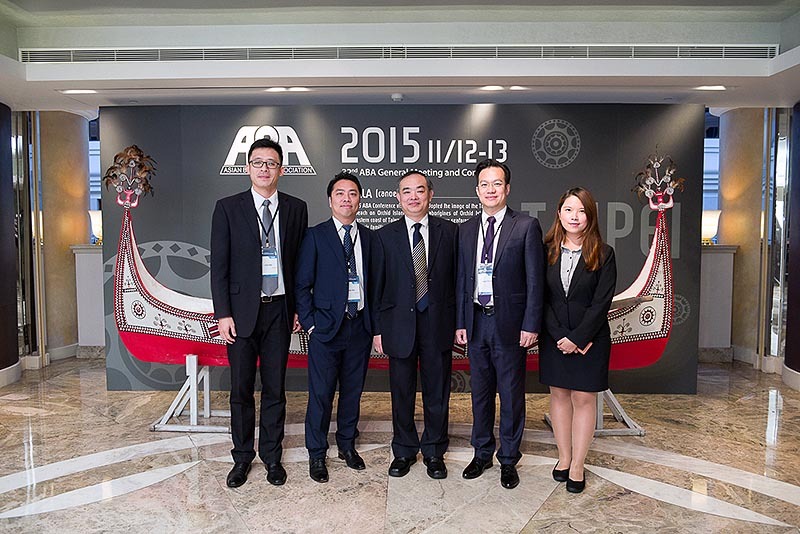 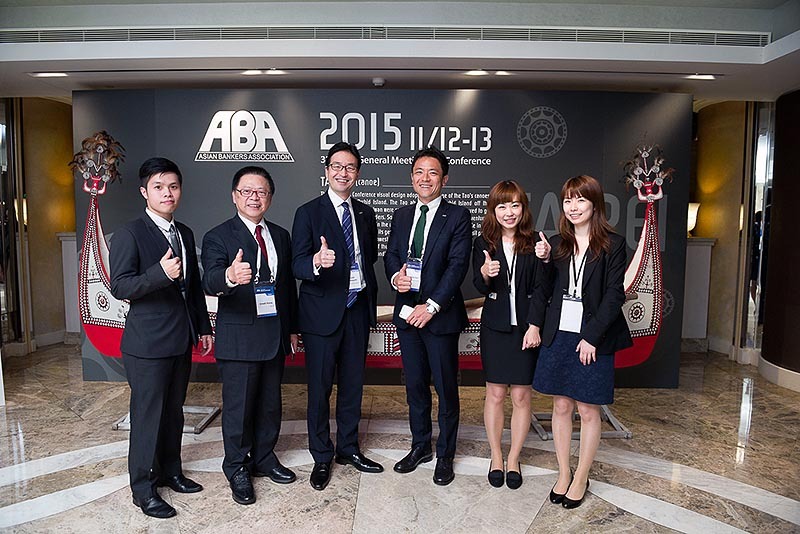 ABA Chairman Mr. Daniel Wu and VNBA Chairman Mr. Nghiem Xuan Thanh signed the MOU at the start of the 51st ABA Board of Directors’ Meeting held on November 12, 2015. 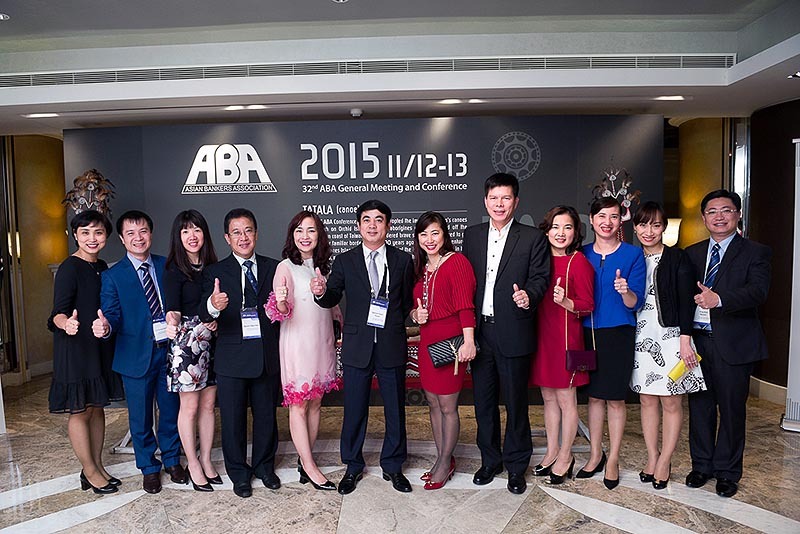 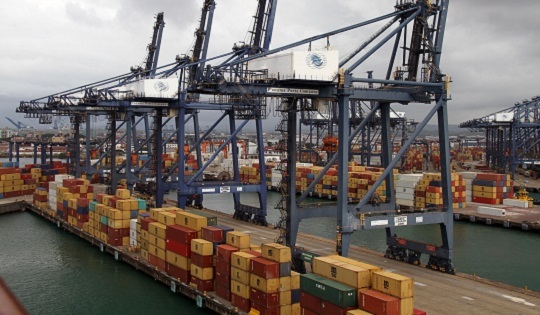 The ABA agreed to hold its 33rd ABA General Meeting and Conference in 2016 in Vietnam, with the The Bank for Foreign Trade of Vietnam (Vietcombank) as host organization. 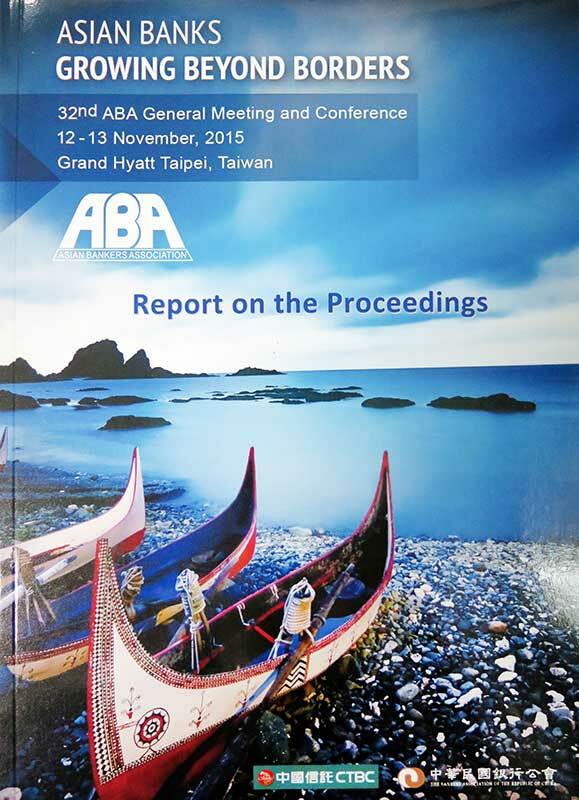 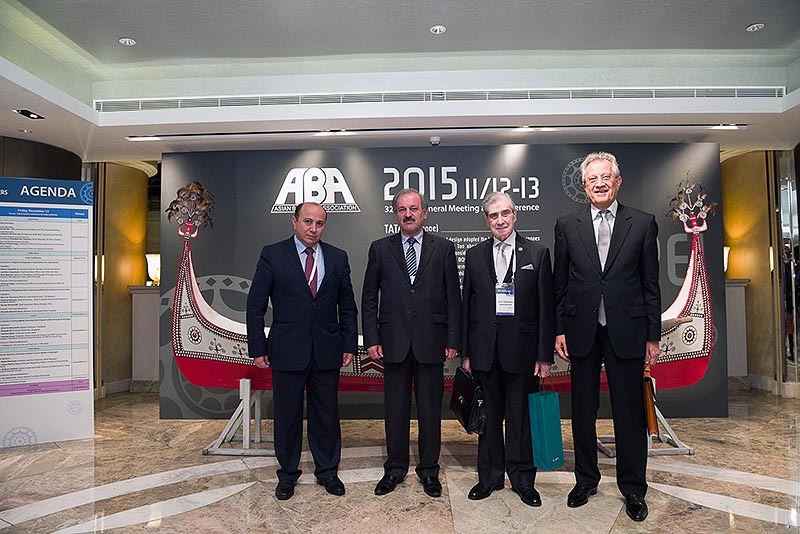 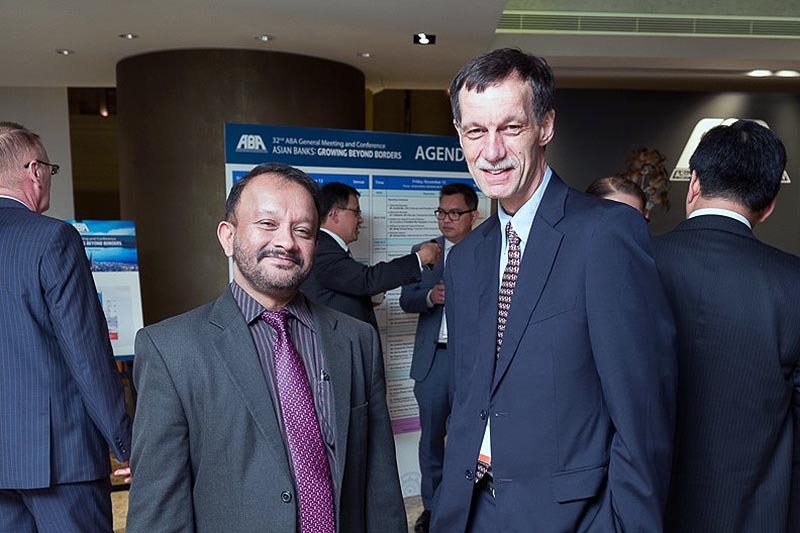 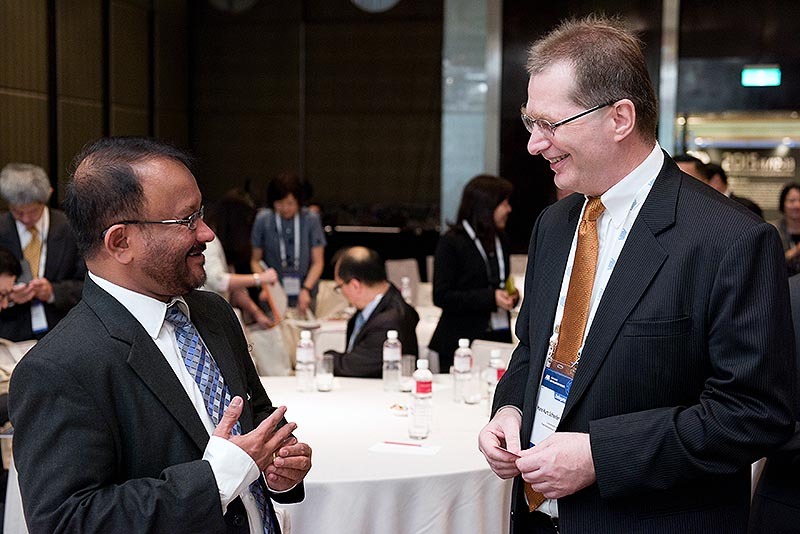 A meeting of the ABA Planning Committee will be held in early 2016 in Vietnam to discuss preparations for the Conference, including the exact venue, dates, theme and topics, and speaker line-up.